Put it on your car or truck and add a personal touch to your travels. 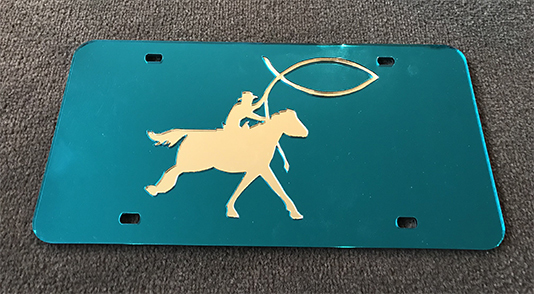 This is a mirror plate is also the perfect way to dress up your home or barn and showcase your love of the sport. It also serves as a handy mirror if you hang it in your horse trailer. Size is approximately 12 x 6 inches.